Perla. Vrebalov. Redler & Cooper. Karlsson. Answer: They all participated in AOP’s Composers & the Voice! Our C&V artists are everywhere, utilizing the irreplaceable skills they learned during C&V’s one-year intensive in how to write for the operatic voice. 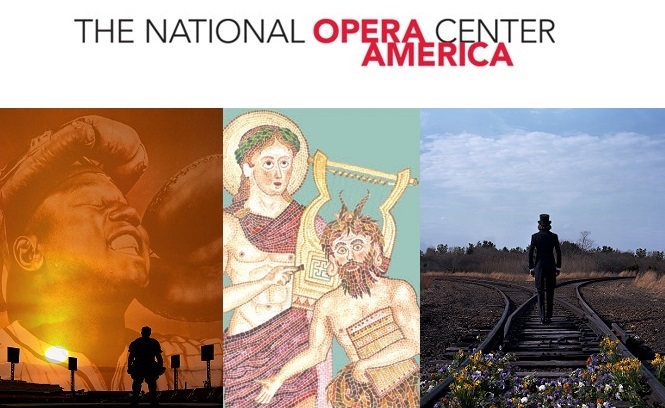 Jack Perla’s (C&V ‘07-08) new opera Jonah and the Whale premiered at LA Opera this past weekend, and this Friday Alexandra Vrebalov (C&V ’02-03) kicks off Kronos Quartet’s 40th Anniversary concert at Carnegie Hall. C&V alums Mikael Karlsson, Sara Cooper, and Zach Redler failed to win any medals at Sochi this year and will have to be satisfied with their music prizes. Zach Redler and Sara Cooper were awarded the 2014 Jonathan Larson Grant while their fellow C&V ‘11-12 alum Mikael Karlsson picked up the Wladimir and Rhoda Lakond Prize from The American Academy of Arts and Letters. Rounding out C&V ’11-12 is Ronnie Reshef, who won the Yardena Alotin Composition Competition for her 2010 piece Suicide (after Grosz), and Robert Paterson, whose robot-opera The Companion is debuting at Roulette this April…not to be confused with Rachel Peters’ baguette-opera Companionship, which just finished at the Manhattan School of Music, and has a reading at the John Duffy Composers Institute this May. Ronnie and Rob also turn up at Fort Worth Opera’s Frontiers festival with two C&V-developed works, also in May. 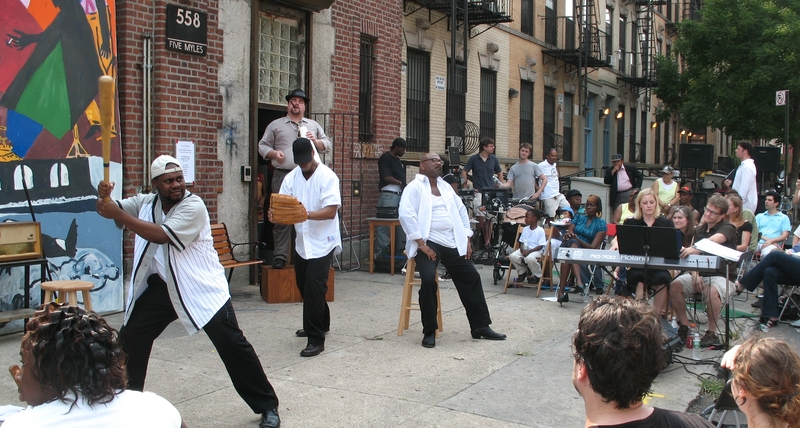 An early AOP workshop of The Summer King, held on a sidewalk in Brooklyn. Daniel Sonenberg’s opera has its concert premiere in May. Indoors, even! Progress! And in case your May isn’t busy enough, Daniel Sonenberg’s (C&V ’02-03) The Summer King gets its world premiere at Portland Ovations. In late April, Hannah Lash’s (C&V ’05-06) This Ease premieres with the LA Chamber Orchestra. Last month, Andrew Staniland (C&V ’07-08) won the 2014 Harry Freedman Recording Award. In the past year, Gregory Spears’s (C&V ’07-08) opera Paul’s Case has had three different runs (Pittsburgh Opera, PROTOTYPE, and Urban Arias). Stefan Weisman’s (C&V ’03-04) family opera The Scarlet Ibis is slated for PROTOTYPE 2015. 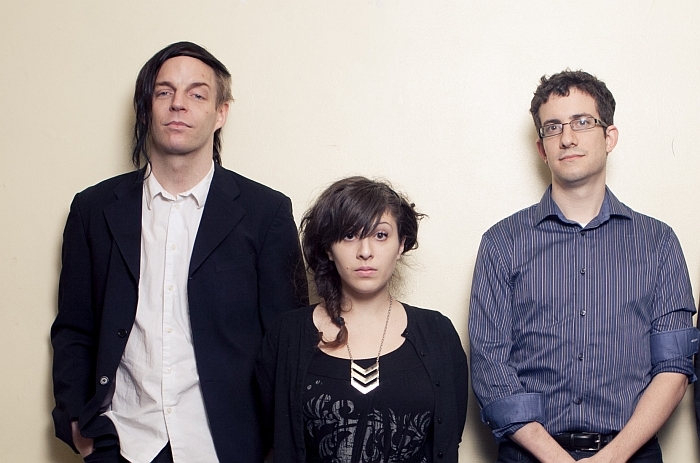 The latest group of composers who will be filling up your concert calendar. Photo by Ted Gorodetzky. 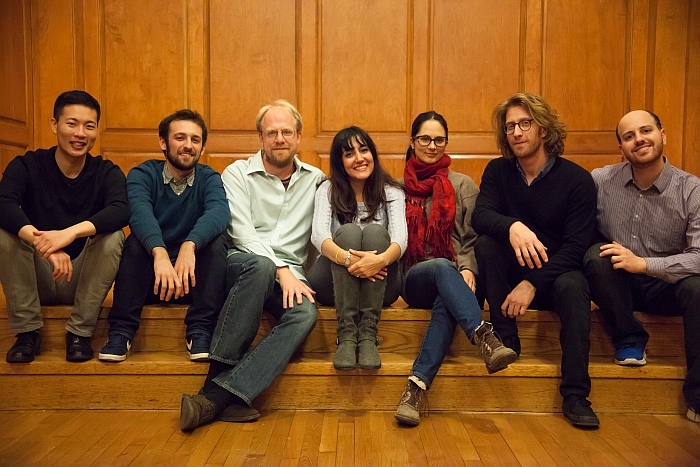 From this year’s class of super-composers, Gity Razaz was awarded the 2013 Jerome Fund Prize for her concert length vocal piece Abraham in Flames/Elegies of the Earth, which will be presented by VisionIntoArt at The Stone this May. Guy Barash released his debut album Facts About Water on innova recordings. Joseph Rubinstein will have select choral pieces available through See-A-Dot Music Publishing in the coming months. Not to mention that Jason Kim (C&V ’13-14 librettist) was hired to write for HBO’s Girls, and Daniel Felsenfeld (C&V ’06-07) has worked with everyone from writers Robert Coover, Will Eno, and Wesley Stace to hip-hoppers Jay-Z and The Roots…with those trail-blazing ladies Nora and Alice thrown in there for good measure. This is the future of new music. You heard it here first, and here’s where you can hear it next.